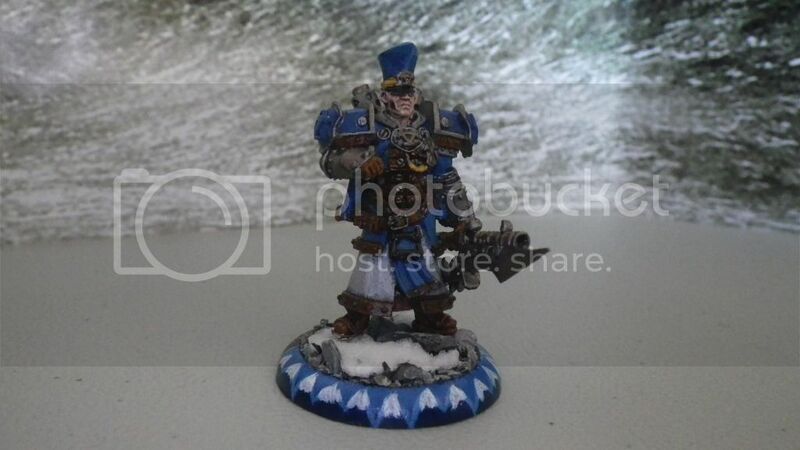 One of the new caster I'm Trying is Prime Kommandant Irusk - The old man of Khador! Irusk is all about the infantry, it's what he does and supporting Khador's already excellent infantry making them almost unstoppable. I rate Irusk as one of the best Caster available for Khador but he is a tad predictable in play and can lead to sameness in tactics, he doesn't do the job himself but is the master of getting the most out of his troops. Ironfang's represent the other side of Khador - Military tradition of combat and tough men taking on giant warjacks with pointy sticks and axes! 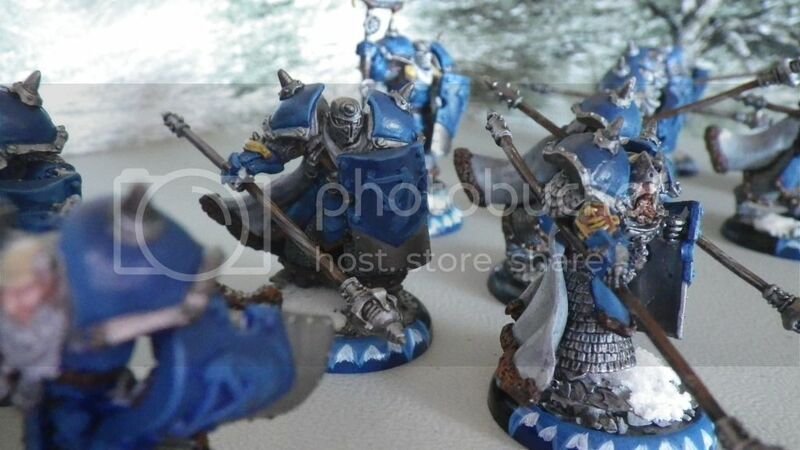 The great bears are one of the most feared units but these Pikemen aren't far off. 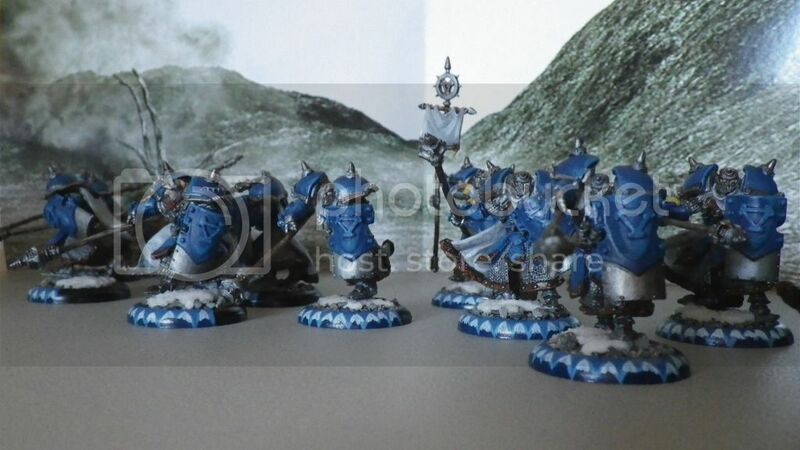 They feel like heavy infantry with shield wall but it's their speed that makes them excellent choice, with a mini - Feat which allows them the move and take up shield wall after completing their activation. They make a dangerous jamming unit for Khador, perfect for defending your lines or taking it the enemy. Also they have combined attacks and high powered reach weapons with critical knockdown, a full unit with UA is quite reasonably costed and Ironfang Pikes get plenty of table top time in casual play and tournaments. 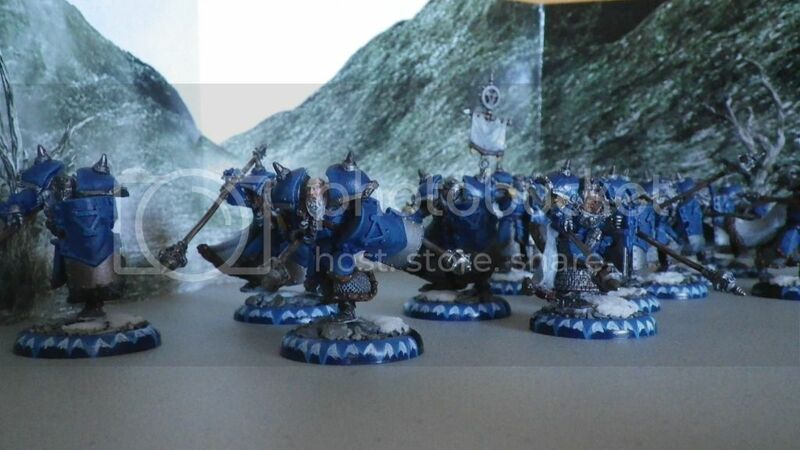 I rate these guys as good choice right up there with Kayazy Assassins for Khador player's.